The MESA 4I69 is a general purpose programmable I/O card for the PCI bus. The 4I69 uses a XC6SLX16 or XC6SLXC25 Xilinx Spartan6 FPGA for all logic, so it is truly an Anything I/O card. 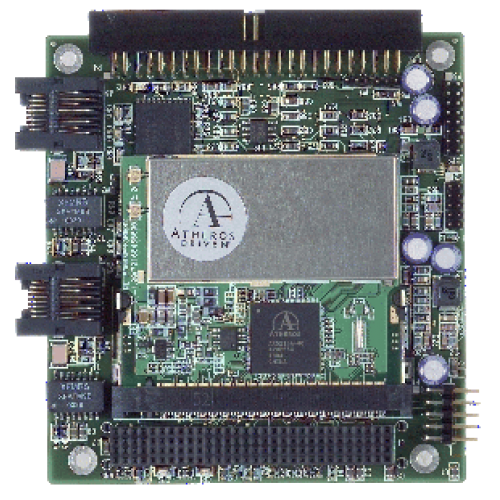 The FPGA configuration is downloadable from the PCI bus side, allowing creation of almost any kind of specialized I/O function. 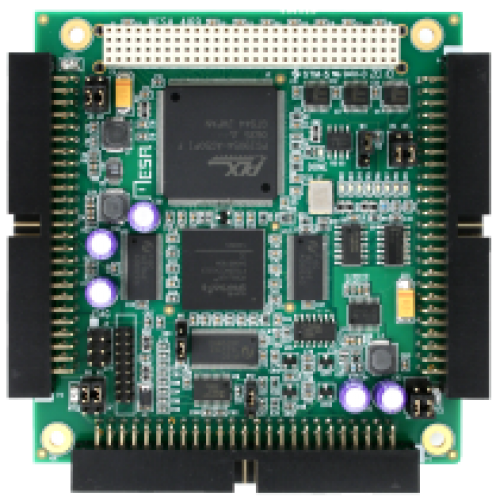 The 4I69 uses a bus mastering PCI bridge to give the card the ability to work with both 5V and 3.3V PCI buses and support high FPGA/PCI bus transfer rates. 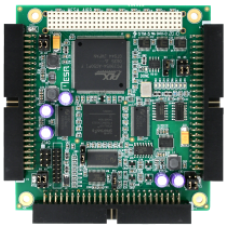 Several pre-made functions are provided, including a 12 axis host based servo motor controller, a 24 channel quadrature counter, an 8 axis micro-controller based servo motor controller (SoftDMC), a simple 72 bit parallel I/O port, and a 12 channel, 32 bit timer counter card capable of running at 100 MHz. VHDL source is provided for all functions. The 4I69 uses three 50 pin connectors with I/O module rack compatible pin-outs and interleaved grounds. Two of the connectors support 3.3V signals. One connector supports selectable 3.3V or 2.5V signals. All signal pairs support LVDS signaling. A signed 12 bit 1 MSPS A-D option with 8 inputs provides +-10V, +-5V, +-2.5V and 0 to 10V analog input capabilities. All IO can be 5V tolerant. Each connector provides 24 I/O bits for a total of 72 programmable I/O bits. A 50 Mhz crystal oscillator provides a reference clock which can be multiplied by the FPGAs DLLs for higher clock speeds. Several I/O interface daughter cards are available for the 4I69. These cards include a 4 axis 3A Hbridge, a 2 Axis 3A stepper motor driver, an analog servo amp. interfaces, RS-422/485 interfaces, encoder interfaces, resolver interfaces, debug LED cards and more.